A few months ago, executives from two of the world’s largest video game publishers suggested that traditional game consoles are on their way out. In separate interviews with Variety, Ubisoft CEO Yves Guillemot and Electronic Arts CTO Ken Moss both argued that instead of buying expensive hardware to play video games, we’ll stream them onto virtually any device, tapping into remote servers for the requisite computing power. And instead of downloading games or buying them on disc, we’ll subscribe to a vast catalog of titles, all of them instantly accessible. In other words, the future of gaming will look a lot like Netflix. This is less of a futuristic of a concept that it seems. Claims that game streaming will replace traditional consoles and PCs have been circulating for close to a decade now, dating back to the rise of OnLive in 2010 (and its fall five years later). Despite some steady technology improvements, all cloud-based gaming services share the same fundamental problem: There aren’t enough good reasons to abandon traditional gaming hardware, especially when the streaming experience is inferior even under ideal network conditions. While many companies are trying to crack the cloud gaming code now–including EA, Nvidia, Sony, and several startups–they’ll have a hard time succeeding unless they fundamentally rethink how games are made. If I had to bet on one company that could actually pull this off, it’s Microsoft. Cloud gaming’s current problems are partly technical. Because every command from your controller or keyboard must travel to the internet, and every frame of video must travel back in the opposite direction, there’s always a small but noticeable delay between hitting a button and seeing the result on the screen. And that assumes no issues with the connection along the way. For fast-action games, that’s a dealbreaker, which is why the “Netflix of gaming” concept sounds like a great idea until the action stutters due to packet loss, or you fail at a standoff in Fortnitebecause of controller lag. So far, cloud gaming firms have tried to improve the situation by optimizing their data centers, tweaking their software, and improving their hardware. Nvidia, for instance, has figured out that the best location for its servers is just outside of metropolitan areas, where the company can hook up to internet backbone networks, says Andrew Fear, the senior product manager for Nvidia’s GeForce Now service. The company has also added features to its graphics cards that help encode video more efficiently, and has spent a lot of time figuring out the best way to decode video on the user’s device. Still, the one thing Nvidia hasn’t done is work closely with game developers to optimize their own code for streaming. While doing so could theoretically cut down on latency and make streaming more reliable, Fear says it would take a lot more work, which in turn could scare publishers away from the entire concept. “I can tell you that for the most part, what we’ve found is, it’s easier to get adoption from developers very early on … by making it so there’s no change to your existing game engine,” Fear says. 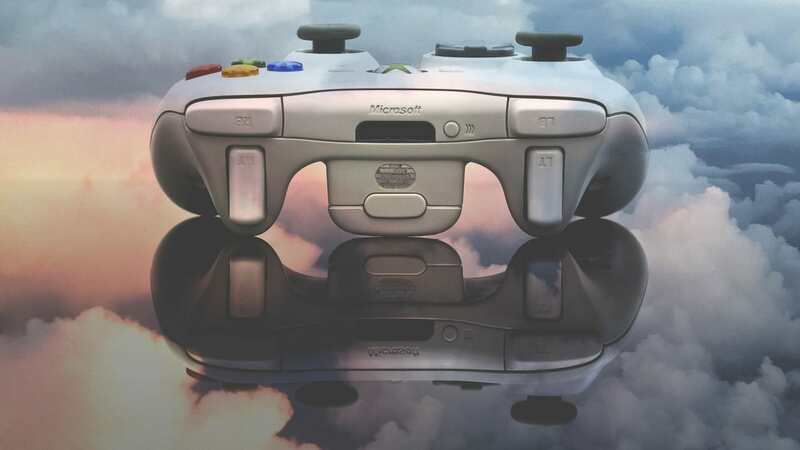 Pat Moorhead, the principal analyst for Moor Insights & Strategy, agreed that the idea described in Sams’ story–Moorhead calls it “split rendering”–would greatly improve the cloud gaming experience, but only with cooperation from developers. “Split-rendering could help solve many issues, but the game needs to be specially architected to take full advantage of the design,” Moorhead says. Even if Microsoft or another company were able to solve cloud gaming’s latency and reliability problems, they’d still have to sell people on the concept. Typically, those who argue in cloud gaming’s favor point to convenience as the main advantage: If you already play games on a console or PC, cloud gaming would let you play the same games on the road from a phone or lightweight laptop. And if you don’t already play games, not having to buy expensive hardware drastically reduces the barriers to entry. “All these people out there–we call them the ‘latent gamers’–they want to be able to game, but they can’t,” Fear says. Benjy Boxer, a co-founder of the game streaming startup Parsec, is skeptical of the convenience argument, noting that cost of leasing access to a cloud gaming server can easily become more expensive than buying traditional gaming hardware. This notion is as old as cloud gaming itself. Even back in 2010, OnLive was talking up how it owned Mova, a Hollywood facial motion capture firm, implying that it could provide photo-realistic faces for cloud gaming. But as with the technical hurdles, the drive to build new kinds of games for cloud services is a chicken-and-egg scenario. Microsoft has already been planting the seeds for an ambitious cloud gaming service. On the technology side, the company operates data centers around the world for its Azure cloud computing service, and the company has some experience with streaming: Today, Xbox One owners can stream games to any Windows 10 PC over a local network connection. Microsoft also offers two subscription services for Xbox owners already: Xbox Live Gold lets users play online and download a small number of free games for $60 per year, and Xbox Game Pass provides a larger library of games for $10 per month. Microsoft is also reportedly planning an “Xbox All Access” service that combines Xbox Live, Game Pass, and Xbox hardware paid in monthly installments. This would be a smart way for the company to test the waters on all-in-one gaming subscriptions before diving into streaming. At the same time, Microsoft has been steadily building a roster of first-party development studios. In June, Microsoft announced that it was acquiring four new studios, which the company later said was a way to widen the appeal of its Xbox subscription services. It’s not hard to imagine Microsoft’s studios turning hit franchises like Halo and Forzainto streaming exclusives. “They have original content, they have Xbox Live, they have Xbox, they have Azure, which is the most important part probably, so they’re really well-positioned to do a Netflix of gaming,” Parsec’s Benjy Boxer says. Cloud gaming even gels with Microsoft’s broader goals as a company. Under CEO Satya Nadella (who, incidentally, counts Netflix CEO Reed Hastings as a mentor), Microsoft has pivoted away from software sales, instead leaning into subscription-based products such as Office 365 and cloud computing services powered by Azure. While other console makers and chip vendors could be wary of leaving traditional consoles behind, Microsoft probably won’t have such qualms. None of this means that other companies are incapable of building the Netflix of gaming. But right now, no other company has the same platform control, hit franchises, development resources, and cloud-centric business agenda to make it work. Publishers like EA, who see cloud gaming as a chance to build their own platforms and wrest control from console makers, should be careful what they wish for.